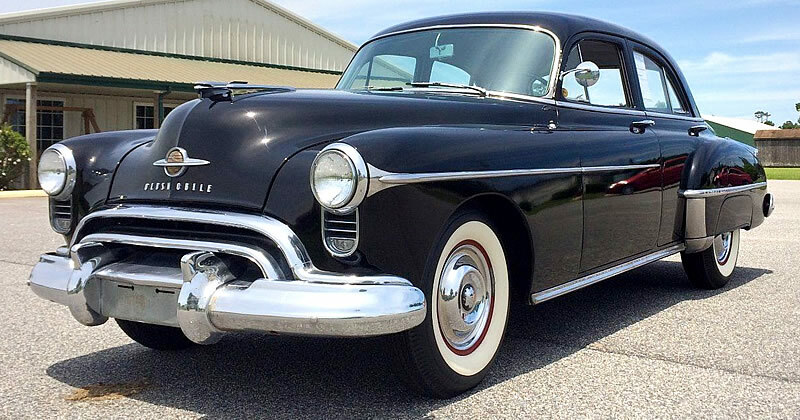 Here's an example of a beautiful, early fifties car - a 1950 Oldsmobile Eighty-Eight Sedan. The 88 came standard with a 303.7 cubic inch Rocket V8 engine and 3-speed manual transmission. This car is equipped with a Hydra-Matic Drive automatic transmission which would have cost the original owner a further $158 on their purchase price. The last owner had this car for 45 years! When they bought it in 1973 the car was already 23 years old. It's always nice to see a car owned by the same person for so many years. They clearly loved it and will have created many memories. The paint is Black and is the original factory color (code 10) and the car was made at the Wilmington, Delaware plant. The interior was redone about 10 years ago but looks great. In the center of the dash you'll see the original radio - an $85 option at the time. Of seven different models in the Eighty-Eight line-up in 1950, only two of them were four-doors. The station wagon and this sedan. 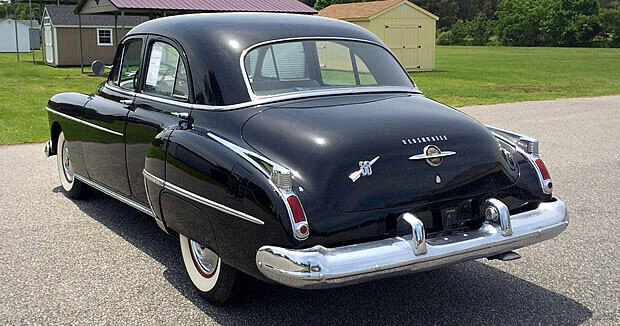 The sedan was by far the biggest selling 88 with 141,111 of them being sold in the '50 model year. In fact, it was the best selling Oldsmobile that year by a wide margin. The next most popular car was the Ninety-Eight Sedan selling 80,265 in total. The Eighty-Eight was available in both standard and Deluxe versions. The standard sedan would have cost $1,978 with the Deluxe option costing approximately an additional $100. For that you got: stainless steel gravel shields and extra chrome moldings on the exterior. 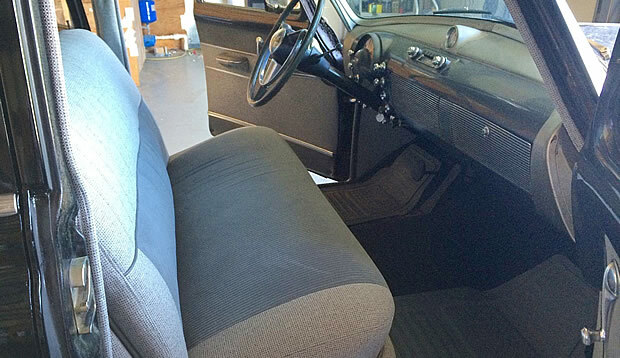 Inside the interior seating used foam rubber seat cushions, there were robe rails, a DeLuxe steering wheel and instrument panel that included a clock as standard.